Teddy Bear Carpet Care LLC are curtain cleaning experts! They understand that window treatments can beautify your home or office, but can be costly as well. Let Teddy Bear Carpet Care LLC put their years of experience in curtain cleaning to work. Teddy Bear Carpet Care LLC specializes in cleaning and protecting your drapery or curtain investment. 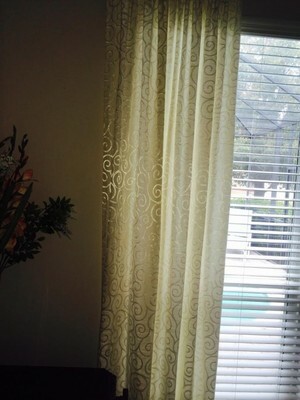 The method required for your curtain cleaning depends on the type of fabric and any stains present. Also, windows located near high traffic area or near smokers collect soot and odors much faster than others. The drapery and curtain cleaning experts at Teddy Bear Carpet Care LLC will leave your curtains brighter, softer, and dust free. You can rest assured that Teddy Bear Carpet Care LLC curtain cleaning and drapery cleaning experts will leave your window treatments smelling fresh and looking new again.